Copperloy’s distribution network spans across the United States, with distributors located near you in Ohio. 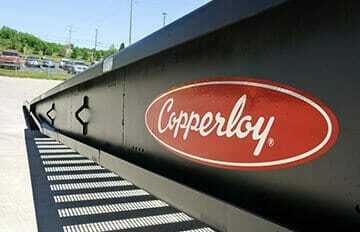 Copperloy has over 60 years of experience producing high quality, industry-leading loading dock equipment. Manufactured in Twinsburg, OH, Copperloy’s American-made products are put to use by many local businesses and facilities across the cities of Cleveland, Cincinnati, Columbus, Toledo, Akron, Youngstown and more. Our lineup of Ohio loading dock equipment both stationary and portable yard ramps, as well as dock boards and rail boards in a huge range of sizes and capacities, edge of dock levelers and just about anything you’d need for logistic or material handling applications of all kinds.